From January 1, 2017, the registration fee and maintenance charge for national domain names “.vn” will be collected at new rates. Under the Ministry of Finance’s Circular No. 208/2016/TT-BTC, issued to replace Circular No. 189 enacted in 2010, the fee for registration of a second-level domain name consisting of one character or two characters and other second-level domain names will be VND 200,000, down from the current rate of VND 350,000. The annual maintenance charges will be VND 40 million, VND 10 million and VND 350,000 applicable to second-level domain names consisting of one character, those consisting of two characters and other second-level domain names, respectively. Meanwhile, the registration fee and annual maintenance charge for the popular domain names, including edu.vn, gov.vn, org.vn, ac.vn, info.vn, pro.vn, health.vn and int.vn, and administrative boundary-based domain names will fall from current VND 200,000 to VND 120,000 and VND 150,000, respectively. 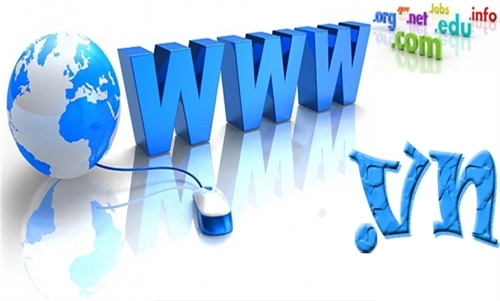 The Vietnam Internet Network Information Center (VNNIC), as assigned by the Ministry of Information and Communications, will be responsible for granting domain names “.vn” and Vietnam’s IP addresses, and collecting registration fees and maintenance charges. Under the Circular, VNNIC may retain 90 percent of collected charge and fee amounts before remitting them into the state budget to cover expenses for the registration, management and maintenance of national domain names and Internet Protocol addresses in Vietnam.